There's an 'Eye of the Storm' eyeshadow palette! In case you haven't read the news yet (or, you know, at all? ), Kylie Jenner recently gave birth to a baby girl named Stormi Webster, and she's been out of the limelight for the duration of her pregnancy. Even while pregnant, though, she was still running her massive beauty empire, and she took to Instagram on Thursday to share some breaking makeup news: She is releasing an entirely new collection inspired by little Stormi. There are two 10-shade eyeshadow palettes named "Calm Before the Storm" and "Eye of the Storm" as well as new matte lipsticks that feature tiny lightening bolts. Jenner really went all out with the "Storm" references, also teasing new loose powder highlighter and glitter eyeshadow duos in packs of two. She even tried some on herself, and her eyelid looks GOOD. In the Instagram video she shared debuting the products, Kylie said she worked on this new the collection during her pregnancy—which also means she must've already known ahead of time what her daughter's name would be! 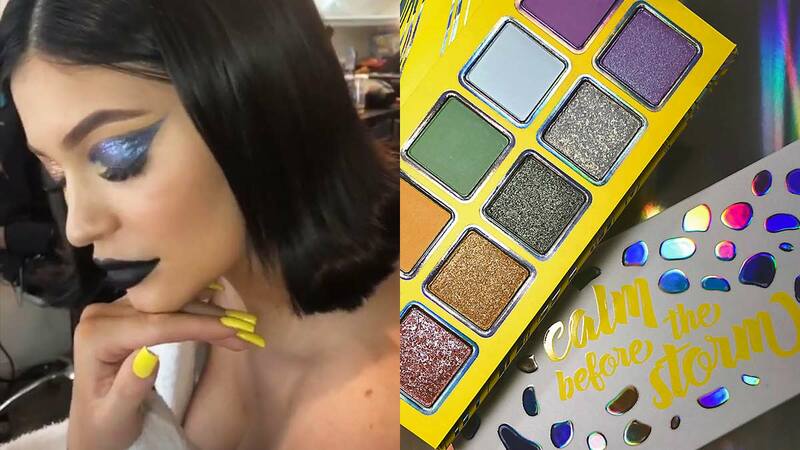 "So I spent a lot of time on this collection, and I put a lot of detail into it so I’ll do my best to show you guys all the fun detail," Kylie said in the video. 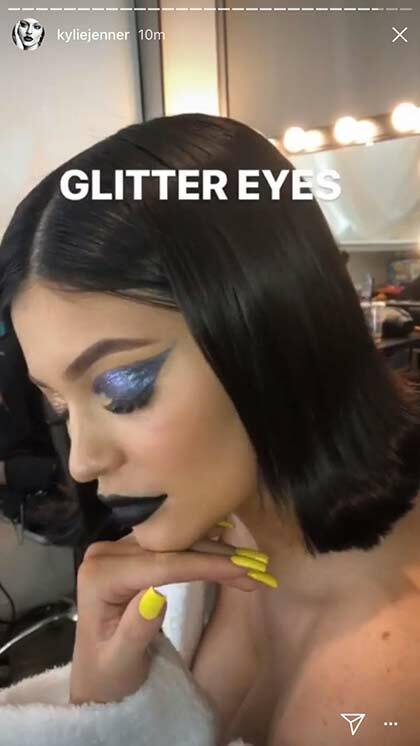 Stormi was really the perfect inspiration for a brand new makeup launch, and Kylie added an eyeshadow color named "Aquarius," which is adorably named after her daughter's zodiac sign. 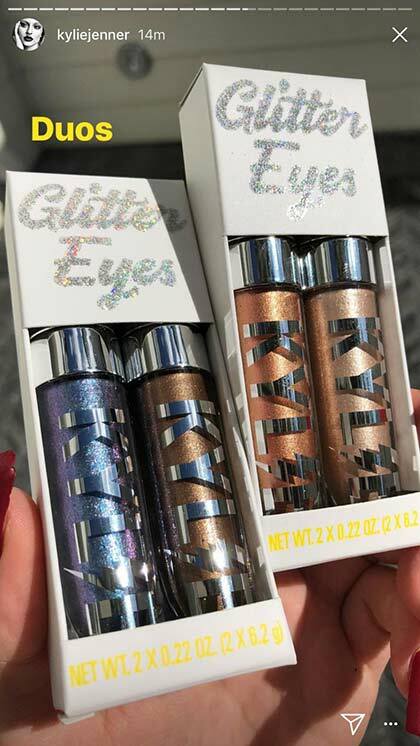 There's even more eyeshadow names like "Sweet Storm," "Starbaby," and "Moon & Back," so it's clear that Kylie is quite taken with her mini me. But seriously, what other baby has a makeup collection named after it and how fabulous is that?! I can only hope that one day in the future (when her mom allows, of course) Stormi will be rocking these gorgeous eyeshadows from her very own line. The launch date has yet to be announced, so in the meantime, here are some more photos so you can ogle every new product.